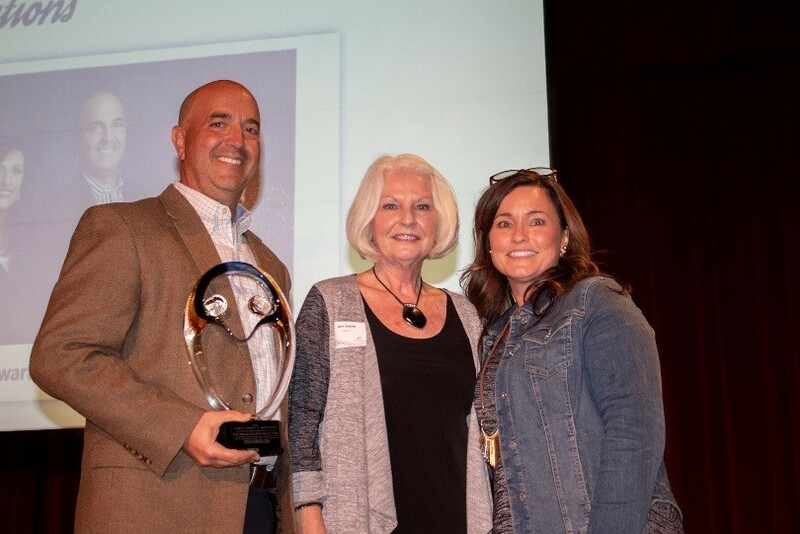 Big Brothers Big Sisters is proud to celebrate and recognize the K21 Health Foundation for their outstanding leadership and philanthropic efforts in with the 2018 Charles D. Smith Award. Building a healthier community for Kosciusko County is at the heart of the mission of the K21 Health Foundation. The foundation was established in 1999 and since then has invested more than $45 million dollars to improve the lives and wellness for the citizens of Kosciusko county. With a dedicated board of directors and committed staff overseeing the endowment and grant processes, the K21 Health Foundation has helped to make a tremendous impact in the community by providing funding for specialty services to numerous local non-profits including Agaitas, Baker Youth Club, Beaman Home, Big Brothers Big Sisters, Brightpoint, Erin’s House, Fellowship Missions and Joe’s Kids. They also have contributed to major renovations and special projects, bringing enhancements and opportunities to the community – touching the lives of each and every person who lives and works in and around the Kosciusko County area. Wanting to help in the most effective way, K21 is true leader, forever growing and evolving. By garnering feedback from community leadership, hosting public forums and collaborating with other foundations and organizations, they create an even bigger impact for the betterment of others. The K21 Foundation’s support of Big Brothers Big Sisters as a donor and advocate has helped the Agency grow into the premier mentoring organization that it is today. Their contributions have helped bring innovative and enhanced programming into the area, providing unique mentoring services to our Littles so that they too will have the opportunity to reach their full potential in life. Additionally, by providing grant resources for marketing to recruit and seek out more contributions and volunteers, the foundation has started BIG things for Big Brothers Big Sisters. The K21 Health Foundation is a dedicated and critical partner in strengthening the future and state of well being in the Kosciusko County Community. It is with great honor that Big Brothers Big Sisters celebrates the many achievements of the K21 Health Foundation with the 2018 Charles D. Smith Award. The Charles D. Smith Award was established in 2015 and recognizes an individual or individuals who demonstrate passionate volunteerism, strong community leadership and a lifelong commitment to serving others. For more than 45 years, Charlie created a living legacy of civic service as an educator, mentor, leader and community advocate. Charlie’s life served as testimony to the incredible impact volunteers can have every day. As an avid supporter of Big Brothers Big Sisters and the children in his community, Charlie contributed to a 100% increase of children served in Kosciusko County. His altruistic gifts and his strong leadership skills provided the agency with invaluable resources to make Big Brothers Big Sisters one of the top mentoring organizations in the Midwest. Most of all, his genuine, down-to-earth nature and his contagious smile brought new light to the countless organizations and individuals he helped, and his presence is truly missed. Charlie’s dedication to family, faith, and community earned him a place among Northeast Indiana’s most honored citizens and set a high standard for volunteerism in our community. It is with great honor that Big Brothers Big Sisters celebrates his legacy with the Charles D. Smith Award. Past recipients include Tom Roy (2016) and Ernie Wiggins (2017).